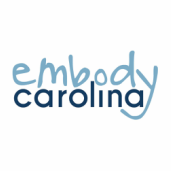 If you are interested in having Embody Carolina speak at or be part of an event for your organization (such as a chapter meeting, conference, or fair), let us know! We will do our best to accommodate as many requests as possible. Please give us at least one week's notice for events that you would like us to attend. Please fill out the form below or email embodycarolina@gmail.com with as many relevant details as possible, including date, time, location, preferred topic (if you'd like us to speak), and a link to any social media events/pages.